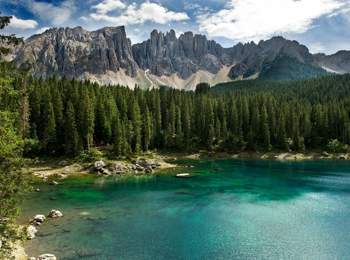 With impressive peaks and turquoise lakes, the unique nature in South Tyrol offers breath-takingly beautiful photo spots. Photos of the dreamlike landscape in South Tyrol have become a real eye-catcher on social media channels. The pictures usually get many likes and comments on Instagram, Facebook & co. encouraging a rising interest about holidays in South Tyrol. 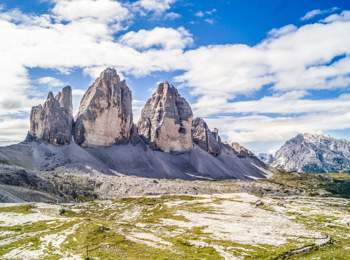 #1 The Three Peaks, as one of the landmarks of South Tyrol are the most beautifully seen from Dreizinnen Hut. Special recommendation for early birds: During the days around December 21st, you can observe a very special sunrise from Mt. Dürrenstein. The first sunbeams find their way directly behind the Three Peaks – in fact between the “big peak” and the “western peak”. 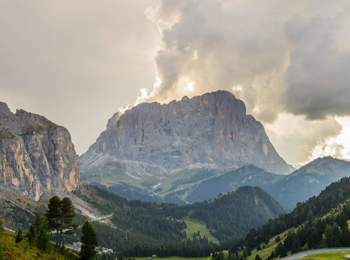 #2 Seceda can be reached from St. Ulrich in Gröden by a modern cableway. 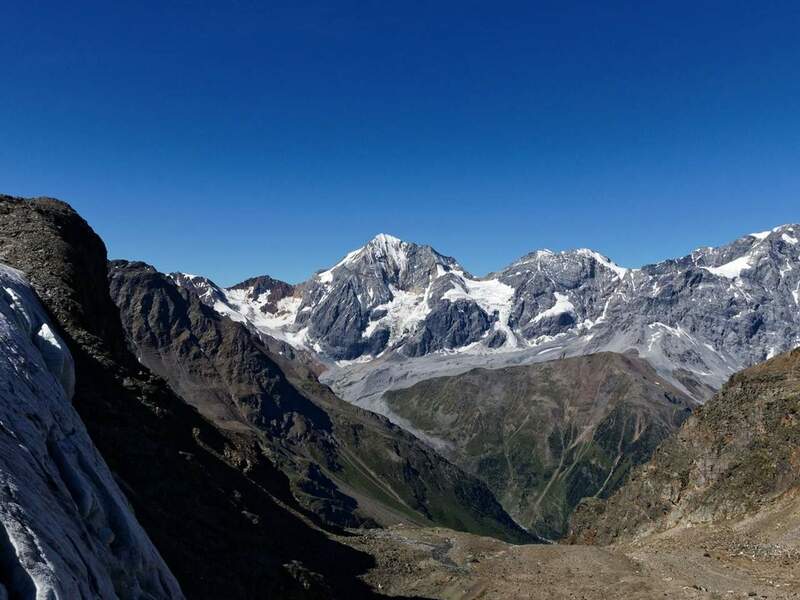 Arrived there, you will enjoy a stunning view of the Geisler peaks. 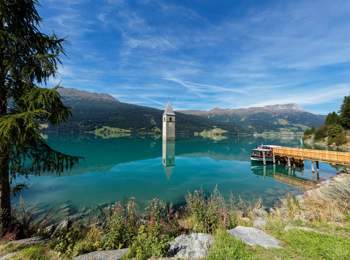 #3 The viewing platform at Karersee offers a fabulous view of the crystal-clear lake whose waters are reflecting the peaks of Mt. Latemar and Mt. Rosengarten. In late summer and autumn, the water levels may be much lower. 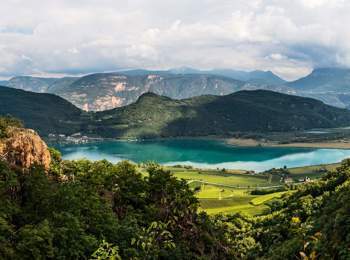 If you prefer to be on the safe side, you should therefore visit the lake during another season or get informed in advance. #4 Mt. Langkofel shows its best side seen from Grödner Joch pass between Kolfuschg and Wolkenstein. The peaks impressive massiveness astonished all photographers. 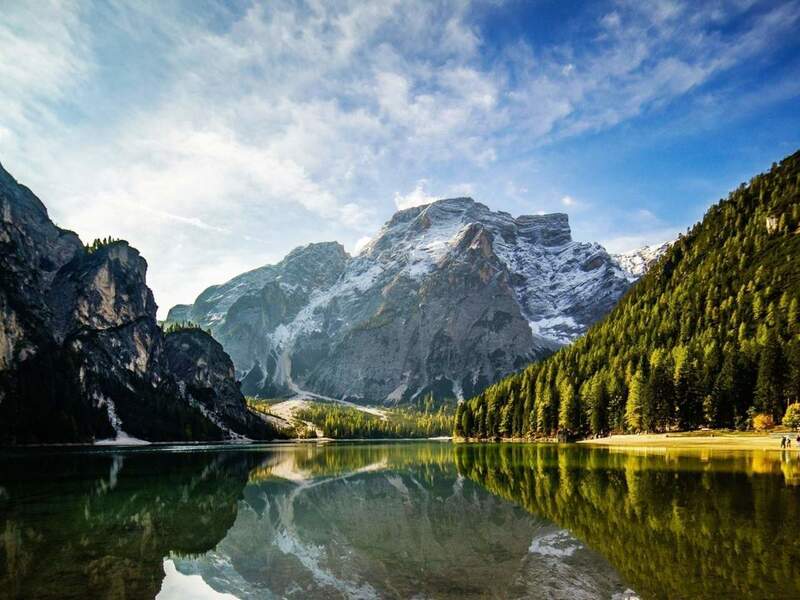 #5 The famous Lake Prags with Mt. Seekofel in the background can perfectly be photographed from a small hill near the boathouse. 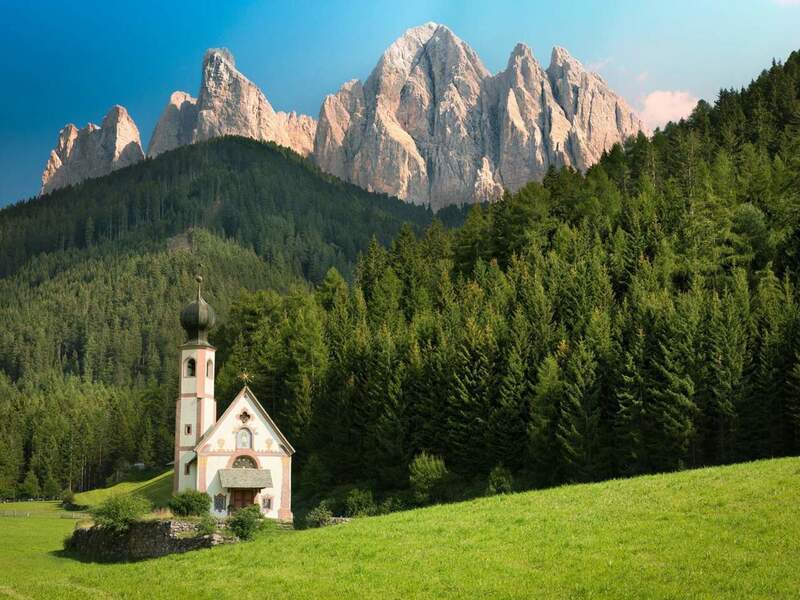 #6 The small baroque church St. Johann in Ranui at the end of Villnöss Valley perfectly harmonises with the Geisler peaks in the background. Beneath the church, there is a path leading to a hill at the left side. Here you have a wonderful view of the famous photo spot. 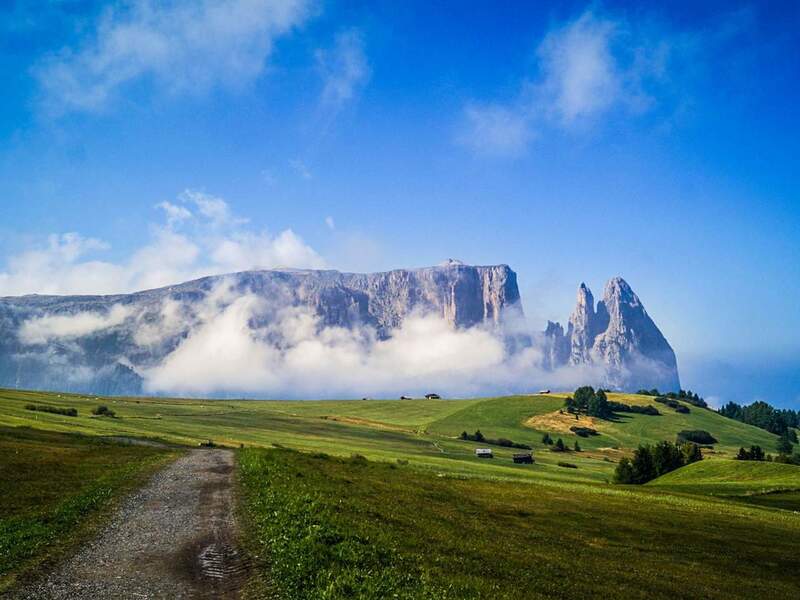 #7 Seiser Alm offers many photo spots. From Ladinser Moos, Mt. Schlern with Santnerspitze and Euringerspitze offers a particularly striking profile. From Puflatsch on Seiser Alm for instance you can also have a wonderful view of Mt. 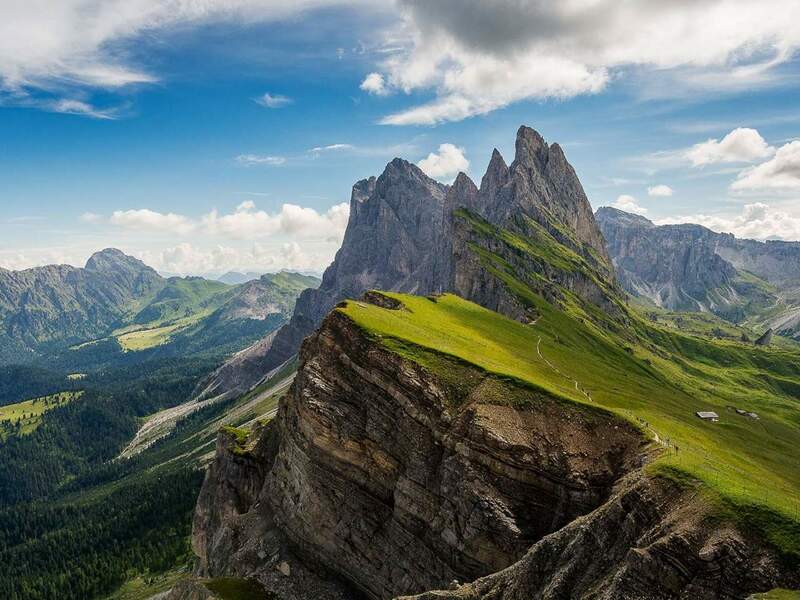 Langkofel and Mt. Plattkofel. 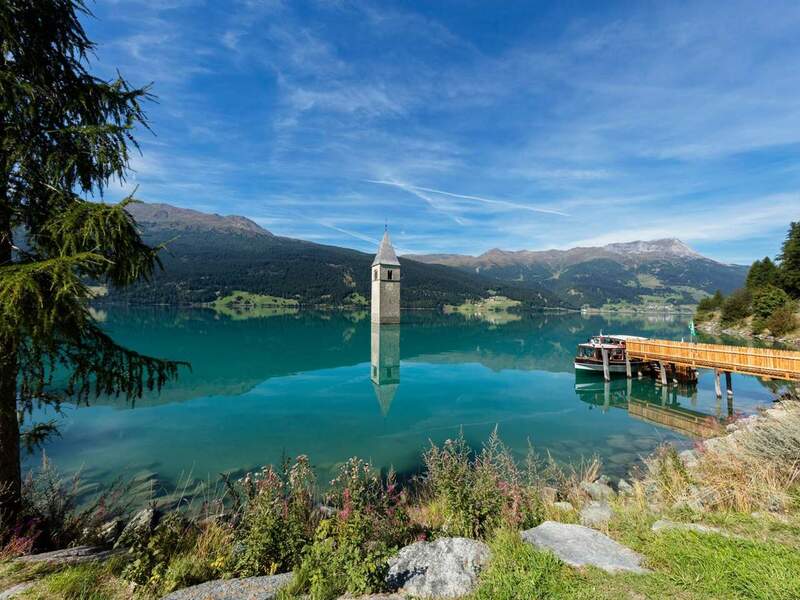 #8 Next to the church tower in Lake Reschen there is a parking lot where you take wonderful pictures of this photogenic landmark of Vinschgau holiday region. #9 A marvellous view of the two highest peaks in South Tyrol, Mt. Ortler and Mt. Königsspitze, as well as of Monte Zebrù is possible from Madritschjoch. #10 Above Rastenbachklamm gorge there is a viewing platform. Staying there, you can take romantic pictures of Lake Kaltern with Leuchtenburg Castle in a wonderful position above the lake – with impressive peaks in the background.